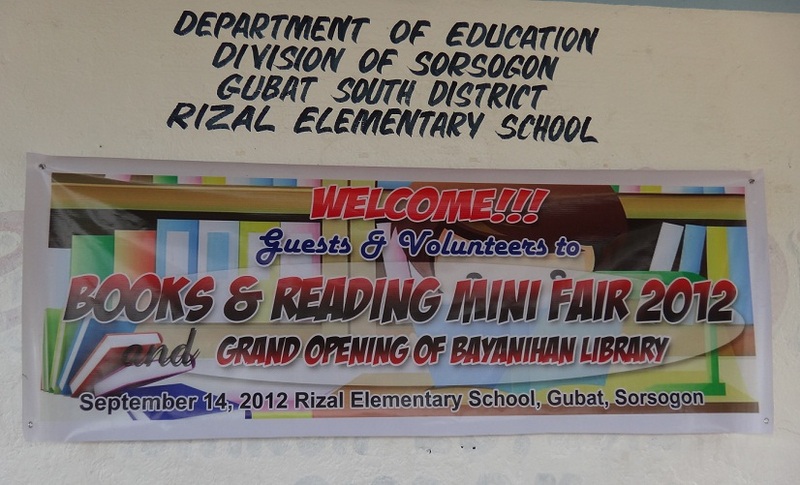 For more than 50 years, Rizal Elementary School in Gubat, Sorsogon had no library. Students had to content themselves with their textbooks, many of them borrowed. Alumna Emelyn Balabat said she first stepped into a library during her college years at a state university. 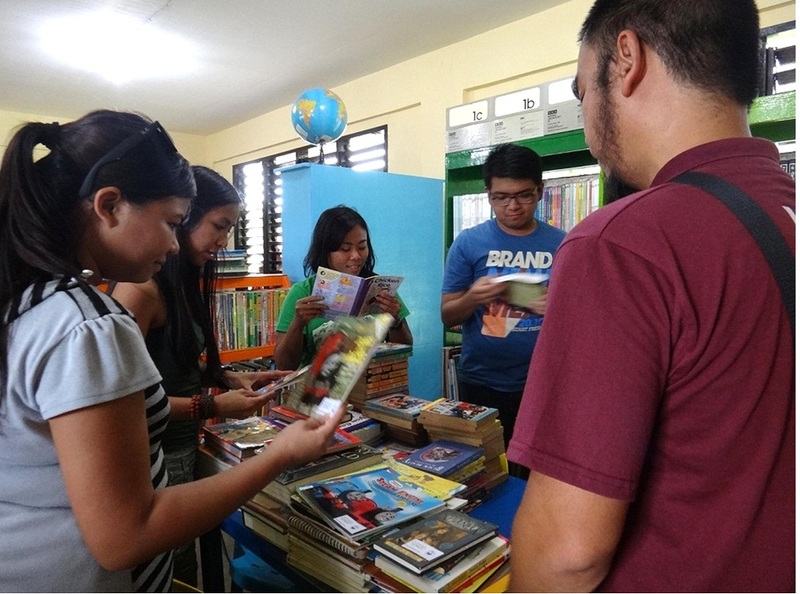 All that changed last Friday, when alumni and parents, led by Emelyn, and travel bloggers and volunteers brought the last batch of donated books and officially opened the school’s library. The school began the call for book donations June of last year. Emelyn as the project coordinator aggressively fundraising and requesting book donations. Travel blogger James Betia, more popularly known as Journeying James, got wind of the project last June through Emelyn and launched a book sharing project with the help of other travel bloggers, runners, and other individual volunteers for fundraising and donations. Volunteer organization Diksyonaryo Atbp also pitched in to help. Those involved in the project filled the library with encyclopedias, text books and story books. 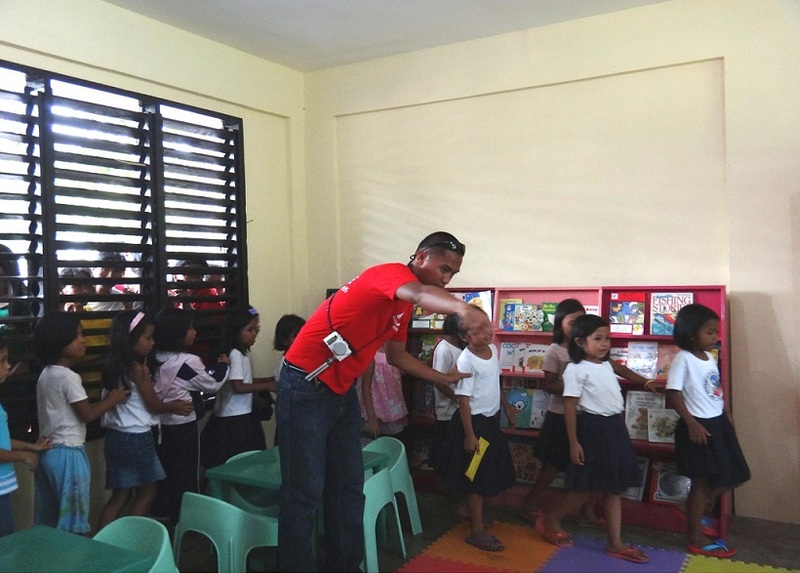 (Left) One of Rizal Elementary School’s rooms (photo from Journeying James’ blog entry) (Right) The same room, now renovated and filled with books. 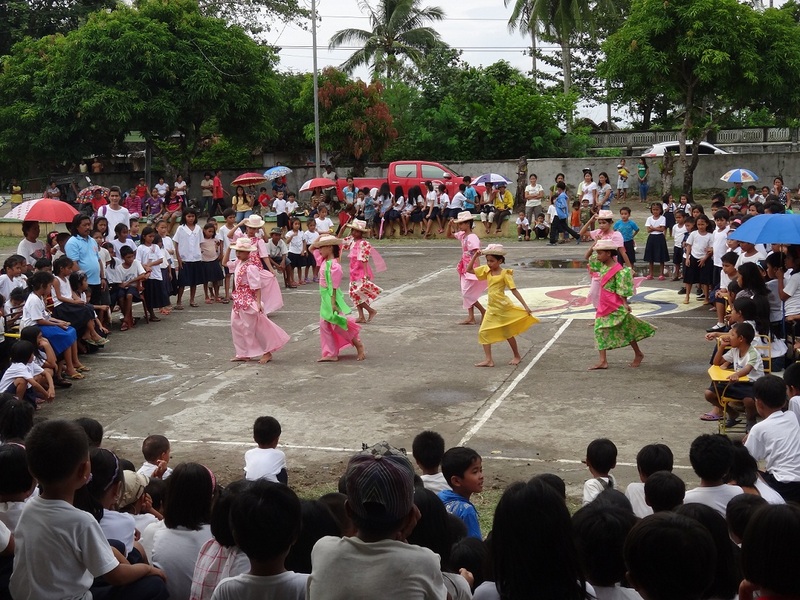 The library is aptly called a “bayanihan library” as it is the fruit of community effort. 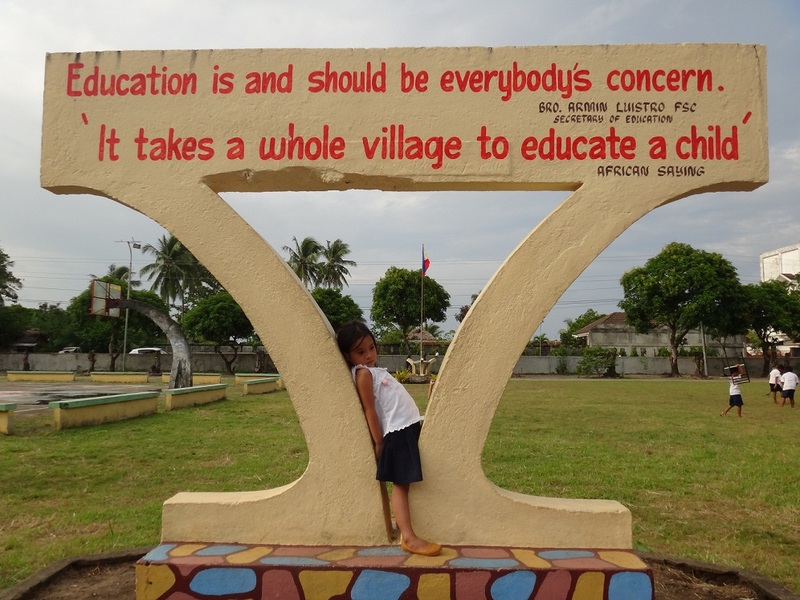 Of the 42 barangays in Gubat, Sorsogon, there are only six libraries, and Rizal’s is the only “bayanihan library,” Emelyn was proud to point out. In fact, the library would be made open not only to Rizal students but to the public, a true community library born from community involvement. I was lucky to join the volunteers who donated story books for the last batch of donations and who witnessed the library’s official opening. Early in the day, as a prelude to the library’s launch, many of us did a story telling for students, who gamely listened and participated. Hundreds of students, parents and visitors flocked to the school’s grounds in the afternoon to watch the program for the library opening. 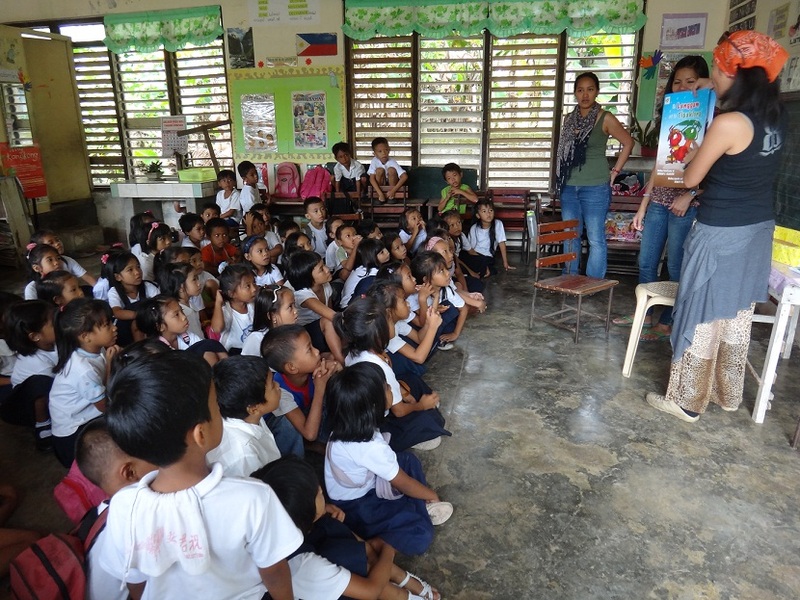 Emelyn, school officials, travel bloggers and others volunteers involved in the book sharing project shared their experiences. For me, the highlight of the program was the student performances. Students dance in front of hundreds of other students and guests. 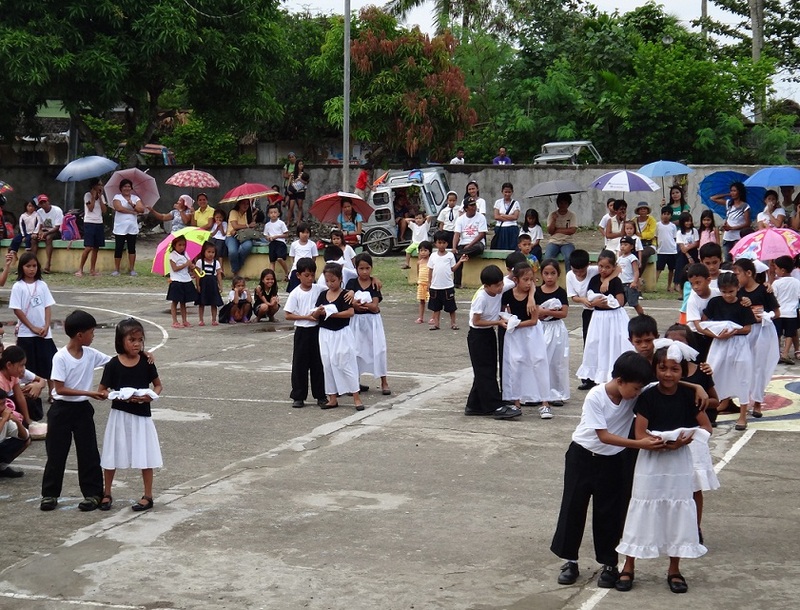 These students’ interpretative dance of “Anak” (Child) by Freddie Aguilar left their parents and me teary-eyed. The students and guests then fell in line outside the library to get a glimpse of it. Three students cut the ribbon to officially launch the library. Emelyn said that the organizers purposely assigned them, not local officials or dignitaries, to cut the ribbon as the library is for the students. I could not agree more. (Left) A student sneaks a peek at the library. (Right) Students cut the ribbon to the library’s entrance. The students were led by groups to quickly go around the library. The pride in school principal Aldrin Estipona’s voice was unmistakable as he told each batch to take a short but good look at the books and to come back next time to read. Journeying James leads the students around the library. (Left) A student peruses a book after his fellow students have taken a look around. 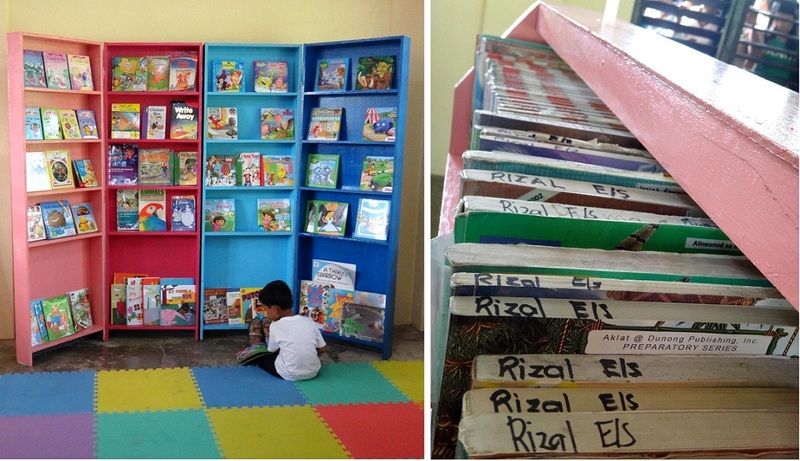 (Right) Once with no books to call its own save some textbooks, Rizal Elementary School’s students are now the happy owners of these books and more. Bloggers and volunteers adding more books to the library’s collection. It was inspiring to watch the excitement and anticipation of students and teachers for their long-overdue and deserved library. Emelyn also told me that just today, students enthusiastically crowded the library to spend more time reading. Also equally inspiring is the fact that this small miracle was borne out of the love and cooperation of travelers and passionate individuals who want to make a difference. 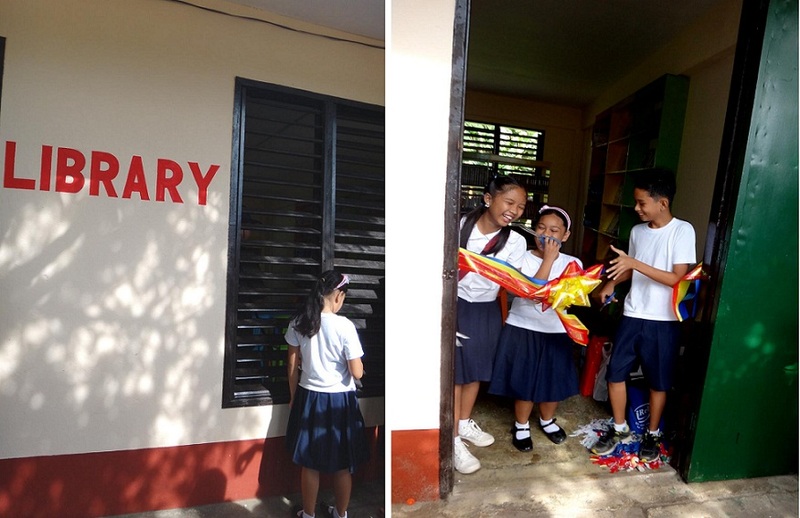 It took Barangay Rizal, as well as a community of travelers and volunteers, to help educate this student and more by filling a library with books. 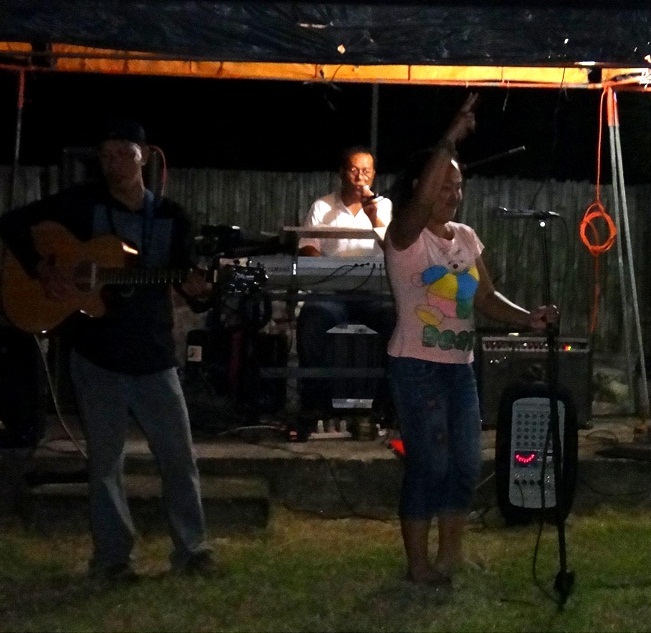 Emelyn, the driving force behind the book sharing project, says her thanks and belts out a cheery song to volunteers’ and visitors’ delight. Here’s to more travels and travelers with a cause! ← Travel Angels – Have You Been Saved by One, Too? Was nice meeting everyone, and most of all witnessing the evolution of what used to be a sad empty room into a room filled with reading materials that could help shape a kid to dream for bigger things. Made me teary-eyed. As I was reading this piece, it made me remember my youth, hungry for books to read in my hometown Masbate. I read everything I could get my hands on—even “pambalot ng tinapa.” I was lucky to have my grandfather’s library at my disposal. Otherwise, I could have not written my first essay when I was eight. My writing is the sum total of my reading. Please let me know how I could be of help to your cause. Very nice blog post Claire! It was so nice meeting everyone 😊 Till our next project! Congrats to Diksyonaryo Atbp too. =) I really admire your cause. Thank you so much for all the help you extended to Rizal Elementary School. With the support you have give,n I believe that education in our country has a bright future. The great deeds you showed us and our children will never be forgotten and I firmly believe that out of these kids who are the recipients of your gifts will emerge people who are selfless when it comes to helping other people….SALAMATUNUN!!!! My pleasure, Sir. =) And it was a great experience, too! =) Hope the kids at your school are enjoying the library!